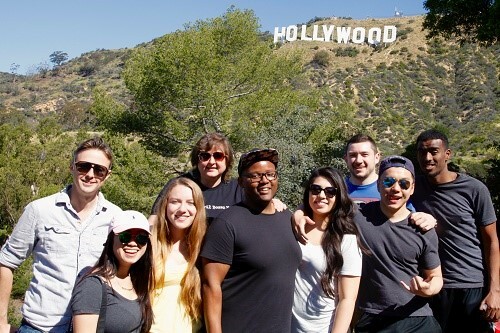 Students from the Department of Communication embarked on the latest Career Exploration trip to Los Angeles this spring and by all accounts, the journey was successful and impactful. 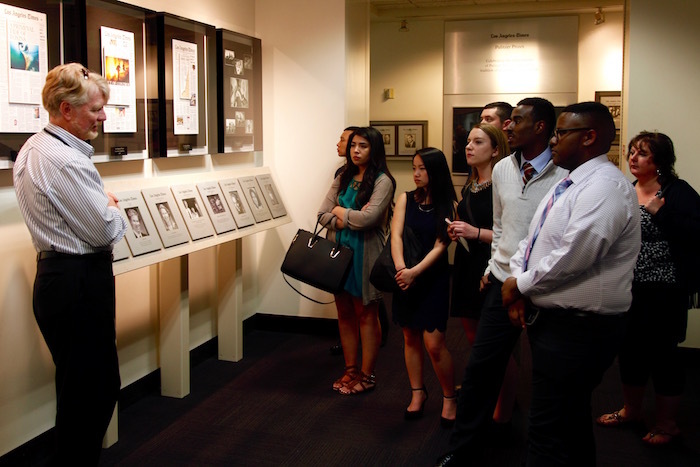 Student explorers found inspiration in the guidance given by esteemed UW alumni currently working in L.A. In three days, students moved at breakneck speed through the city. After ten meetings with a wide range of professionals, numerous In-N-Out burgers, and one unforgettable experience, the students returned to campus more confident in their academic and career goals. UW alumnus Paul Meyer (‘54) made the choice to invest in students and helped create the Career Exploration trip to L.A. in memory of his late son, Chris, who was also a Communication major. Meyer believes that Chris, who had moved to L.A., would have loved to be a part of the Career Exploration experience with other students and sees this as a way to honor Chris’ legacy. 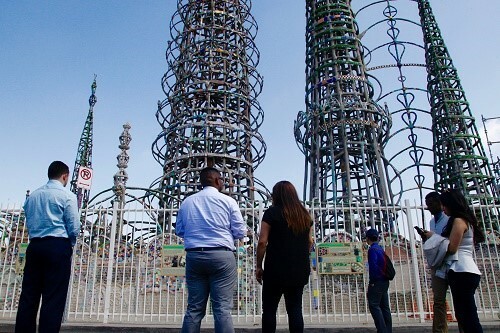 The trip included stops at Watts Towers, The California Endowment, The LA River Revitalization project, FOX Studios, Sundance Institute, Los Angeles Times, and various other media outlets and networking dinners. Upon their return, many of the students expressed a combination of elation and exhaustion when recounting the L.A. trip. Communication student Demetrius LeNoir said that despite being tired, the students cheered each other on. He went on to speak about the special bond between the students that was forged in such a short time. Communication student Kia Vang remarked that it seemed like there were alumni tailored for every student. For example, prospective journalist Karina Mazhukhina was awestruck meeting two-time Pulitzer Prize-winner David Horsey (’76) at the L.A. Times and budding filmmaker Yobel Mengistu was moved by meeting Pete Chiarelli (’96) at FOX Studios. Mengistu said he feels empowered to face his fears. The Career Exploration program is going into its fourth successful year, with trips to New York City and local Seattle organizations as well. They all have the common goal of connecting current Communication students with alumni working professionally in the field. Alumni Relations Manager Victoria Sprang feels this was an experience these students can draw from for a very long time. LeNoir especially connected with alumna Kriss Turner (‘84) and plans to keep in touch. In addition to Communication, LeNoir is also majoring in Psychology – a combination that Meyer’s son also majored in. Unintended connections like this are the reason that Meyer believes this to be the best investment he has made as an alumnus of the University of Washington. Indeed, legacy can be a powerful gift. Interested in Career Exploration? Contact Troy Bonnes at tbonnes@uw.edu or stop by the Communication Commons (CMU 118). Listening to David Horsey at the LA Times.